Considering a transfer in Toronto? You might want to extend your time in-between flights, because it’s only a 30-min train ride to the city center from the airport and there’s a lot you can see and do. 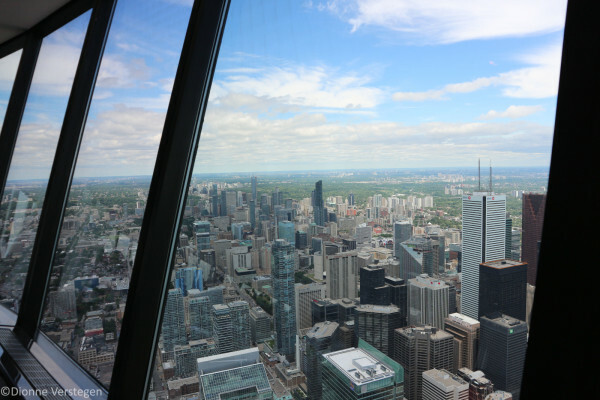 Here are some tips if you have a stopover in Toronto. There’s a lot to see in Old Town Toronto. 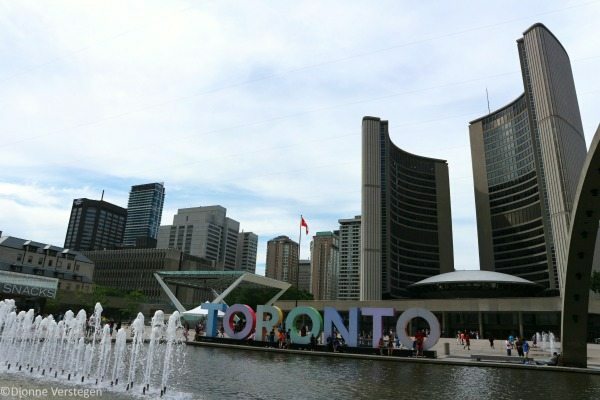 Start your walk at The Toronto City Hall, which lies right next to the Old City Hall. A little bit further north you’ll find Yonge-Dundas Square, which gives you a little bit the impression you’re on Time Square in New York or Piccadilly Circus in London. This is a lively square that hosts community celebrations, theatrical events, promotions, and concerts. End your walk at St. Lawrence market; in the North building you’ll find weekly farmer’s markets and antique markets and the South building locates the number 1 food market in the world, with over 80 vendors selling fruits, vegetables, meats, cheeses, fish and sandwiches. 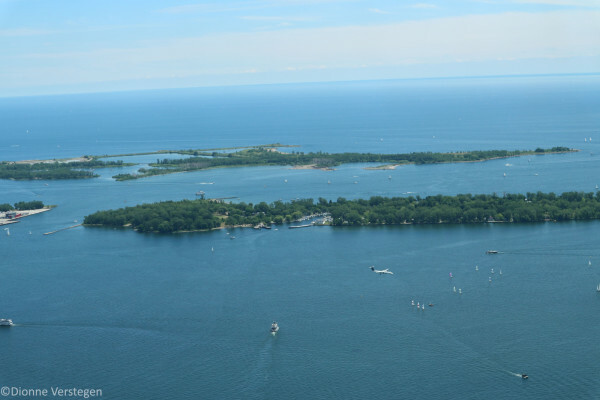 Want to see a completely different side of Toronto? This city has one of the largest Chinatowns in North America and it is definitely worth a visit. Even the street signs are in Chinese in this neighborhood. You’ll find a lot of small Asian shops and markets, as well as great restaurants which are relatively cheap. 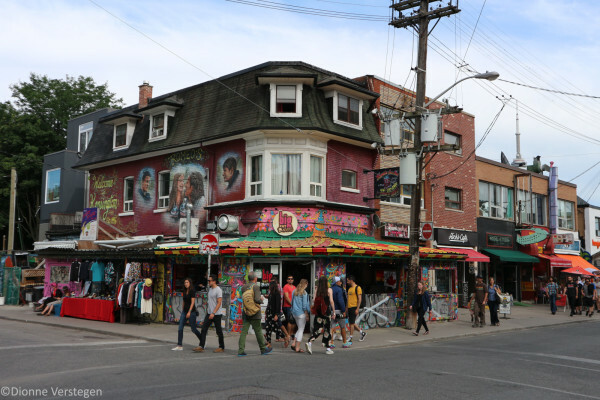 And while you’re in the area, don’t forget to take a detour to Kensington Market, which is also a very vibrant, little bit alternative, neighborhood with lots of nice bars, food stores and shops. If you’re into sports and have a bit of money to spend, you should definitely go and see an ice hockey game of the Toronto Maple Leafs. They play around twice a week; tickets range from $50 to $400. Other interesting sports to see are Basketball (Toronto Raptors), Baseball (Toronto Blue Jays) or Football (Toronto Argonauts). If you’re more into museums around sports, you should pay a visit to the Hockey Hall of Fame, which gives a lot of info on the history of ice hockey and has a great hall of fame that exhibits great players, teams and trophies. Please note that from November 9 (2016) onward you need an Electronic Travel Authorization (ETA) to visit or transfer through Canada by air. This costs $7 and you can easily get it online. *Dionne is one of our guest bloggers from the Netherlands, currently living in Den Bosch. In everyday life she works as a marketing-communications professional. She loves to travel to distant destinations, but I also enjoy a city trip closer to home. Read her article about 7 highlights in Cuba here!